For my Virtual Machines needs, some LUNS are presented to my VMware vSphere 5.1 Servers and until now,my labstorage was handle byFreeNas using iSCSI. For tests purposes, I replaced this FreeNas by Windows Server 2012 to take care of that part. Note: Before writing this post, I grouped my physical disks together into a container called storage poolsto manage those disks as a single storage space. 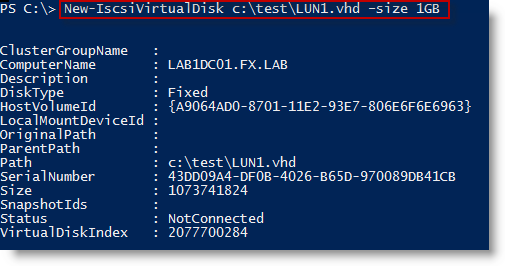 Afterwards, in these storage pools, I created virtual disks (aka LUN)on which I specify a layout, … which is simply a raid level. iSCSI Target Server: is the server that shares the storage, it runs the iSCSI Target. The server (machine) consumes the storage is called iSCSI initiator. iSCSI Initiator:Typically, it is an application server. For example, iSCSI Target provides storage to a SQL server, the SQL server will be the iSCSI initiator in this deployment. iSCSI Virtual Disk: It also referred to as iSCSI LUN. It is the object which can be mounted by the iSCSI initiator. 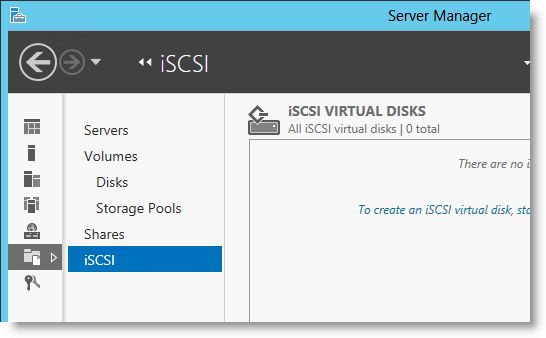 On Windows Server 2012, the iSCSI virtual disk is backed by the VHD file. 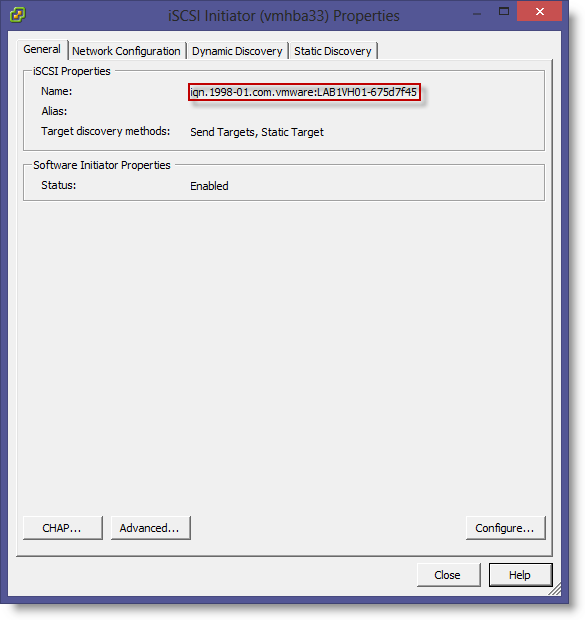 iSCSI Connection: iSCSI initiator makes a connection to the iSCSI Target Server by logging on to a Target. There could be multiple Targets on the iSCSI Target Server, each Target can be accessed by a defined list of initiators. Multiple initiators can make connections to the same Target. However, this type of configuration is only supported with clustering. Because when multiple initiators connects to the same Target, all the initiators can read/write to the same set of iSCSI virtual disks, if there is no clustering (or equivalent process) to govern the disk access, corruption will occur. With Clustering, only one machine is allowed to access the iSCSI virtual disk at one time. 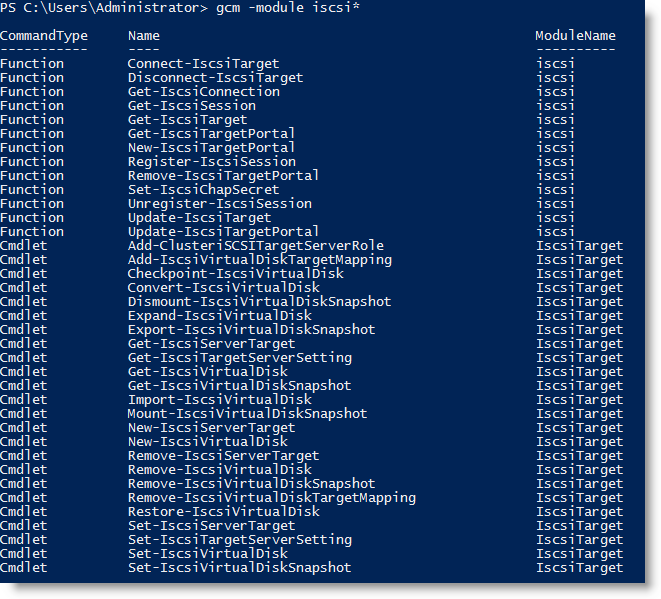 Overview * * Load the PowerShell iSCSI Module * Create a iSCSI LUN (aka iSCSI Virtual Disk, a VHD file) * Create a Target * Assign the iSCSI LUN to the Target.